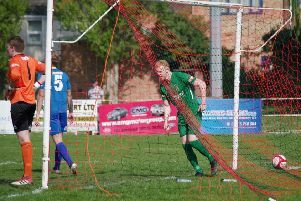 Brighouse Town and Glossop North End must meet again on Monday in the preliminary round of the Emirates FA Cup after a 2-2 draw between the sides in Derbyshire. The visitors looked in trouble when they trailed 2-0 after 19 minutes to goals from Michael Norton and ex-Halifax Town player Jamie Rainford. However, Lee Spires pulled one back with a fine shot into the bottom corner of the net from 20 yards on 31 minutes. The equaliser came five minutes after the break from Ernest Boafo, who bent the ball into the top corner of the net from the edge of the box. The winners of the Hove Edge replay will be at home to Lancaster City, who thumped West Auckland 5-1 away.